I'm so happy I stumbled upon these linen joggers earlier this year. They are the perfect cross between lounge wear and clothing I would wear out of the house - even to work (often to work). So comfortable, and the wrinkle issue is lessened by the fact that they are a blend rather than 100% linen. I don't typically buy multiples, but since I adored these pants so much in the green, when I spotted the blush pair on the sale rack, how could I say no? True to form, and the reason I always tell myself not to buy multiples, I really do prefer the green pair! Do you believe in purchasing multiples, or would you rather have a closet of only unique pieces? Adorable joggers on adorable you! I rarely buy multiples, because I always want something new and different. I'd probably be better off this way though, especially if I know they are perfect!! I am such a sucker for blush anything, and what is better than a great pair of joggers. 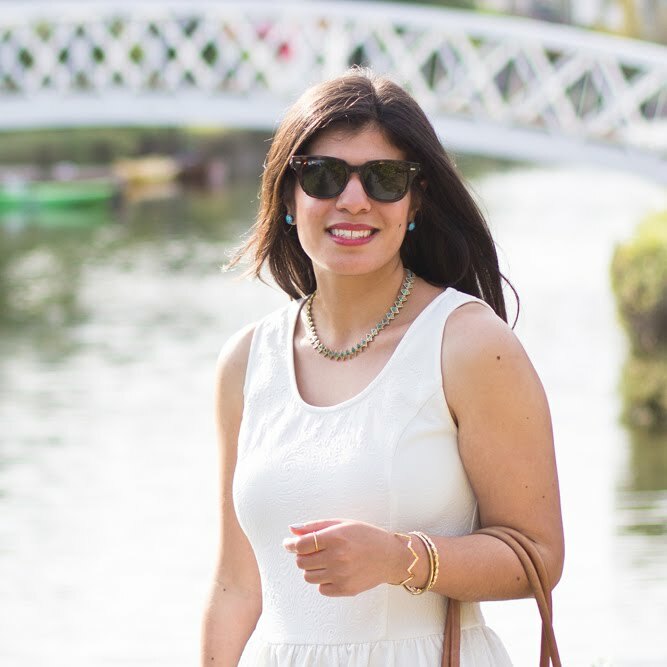 Love this feminine look, styled to perfection! I do buy multiples, I've done it with jeans and black trousers and had one pair hemmed for flats and the other for heels. I have also bought multiples of tee shirts. 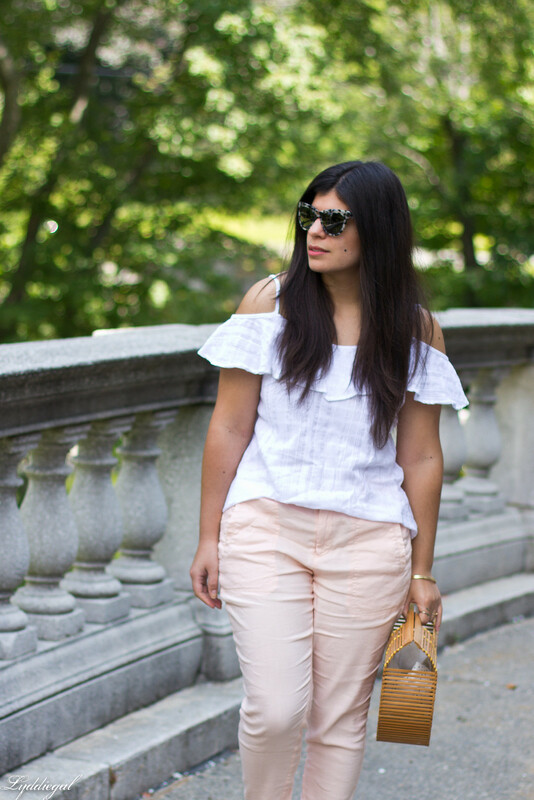 I'm digging these blush joggers- a pretty combo! Love those adorable pants on you! I sometimes buy things in multiple colors... when you find something that is really great, why not?? 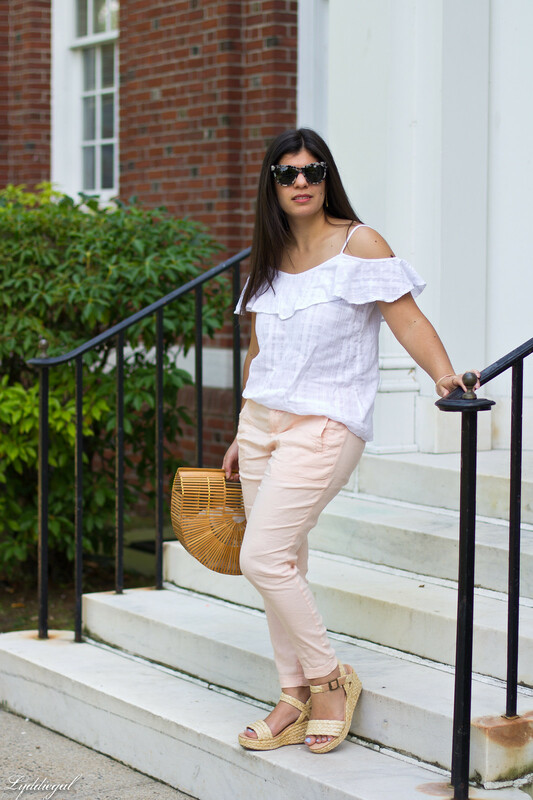 These soft pink pants are a great find and I love the pretty ruffled top you styled it with. I love those joggers! The blush color is so pretty. These are so cute! I love the blush. I would totally wear this outfit any day. I tend to not buy multiples because I like to change things up and have unique pieces. However, these would totally work for spring and summer while the green could be brought into the fall! I love the blush color of that joggers. 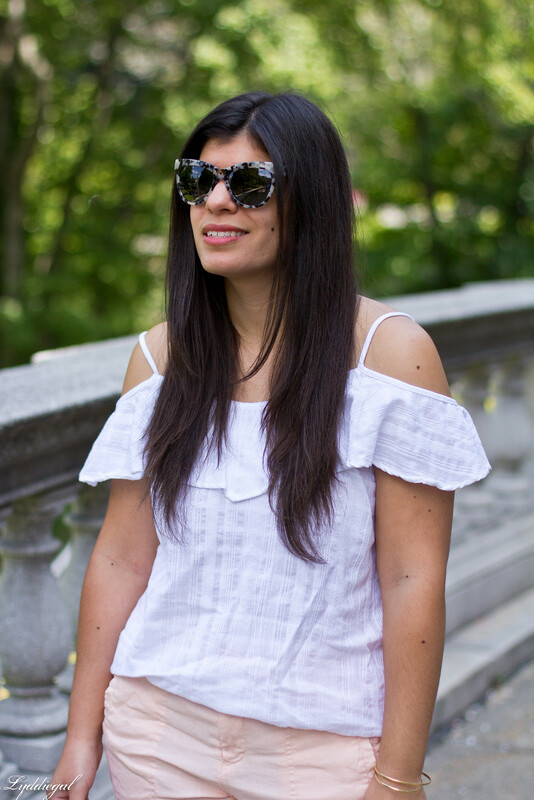 It makes a casual piece seem more delicate and feminine! I love your bag so much. What a beautiful color. And great styling. Those are darling on you! I have a pair of blush pants I can't wait to wear again! Such an adorable outfit. That bag is really a trend right now, I must get myself one asap! ha! 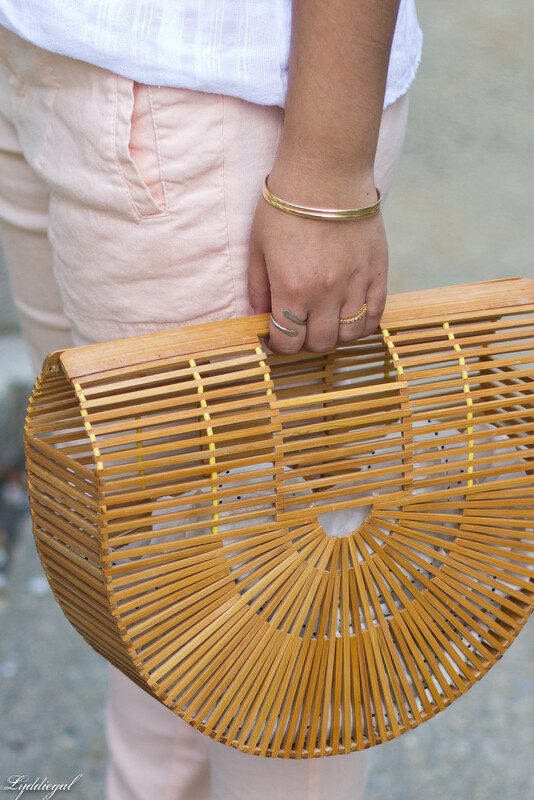 That bamboo bag is to die for!! !